Our little three month old burn victim is stable, but is still in critical condition. By the time she recovers from her injuries, it will be too late in the season to release her back into the wild. Our volunteers are inviting you to name our baby, since she is expected to stay with us for approximately a year, as she recuperates from her serious injuries. Name Submissions will be accepted until August 21st and the winner will be reviewed and decided upon by the Procyon Board of Directors. An announcement of the name choice and the winner will be made on our Website and on Facebook on August 23rd. The winner will receive a Gift Bag of Goodies from the Procyon Gift Shop. The Barrie Police Service is seeking the public’s assistance to identify the suspect(s) responsible for a senseless and inhuman act of animal cruelty. On Sunday, August 6, 2017, police received a report of a raccoon that had been located near Huronia North Park, in Barrie and found to be severely burned. It is believed a flammable liquid had been thrown on him. A Barrie resident took the three to four-month-old raccoon to the Procyon Wildlife Centre in Beeton. The raccoon will be treated by Veterinarians for severe burns to the one side of his body and to his face, arms and belly. 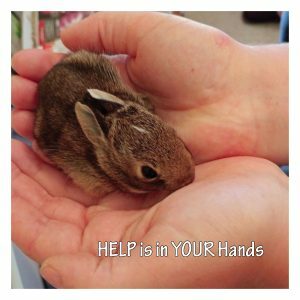 A non-profit, Vancouver based wildlife sanctuary called Fur-Bearers have offered $1000 reward and Precious Paws, a non-profit, Barrie based all-breed dog rescue have offered an additional $500 reward on the assumption that members of the public may know who is responsible for this crime. There will be a story on CTV on tonight’s news, and Debr Spilar will be doing a radio interview tomorrow morning for AM640 radio.